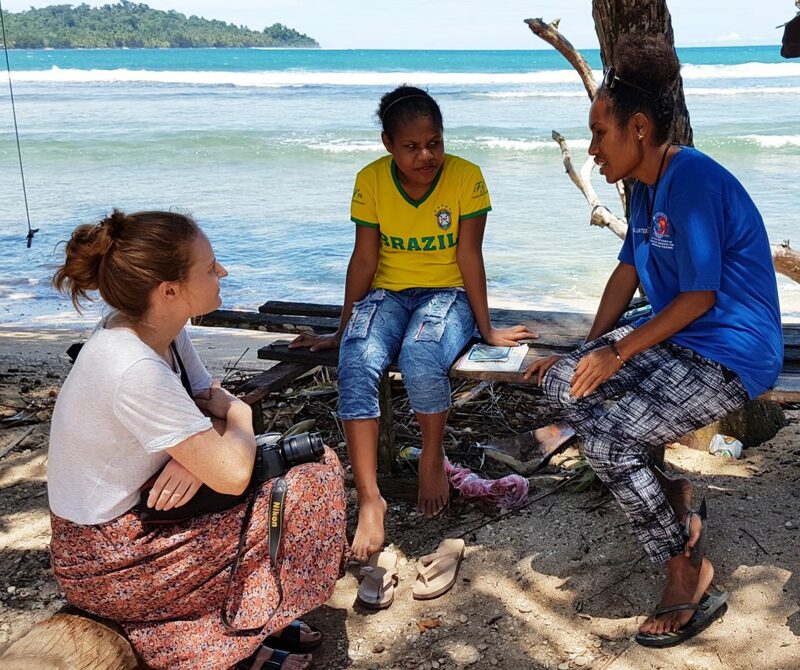 ''My name is Sophie Jenkins, I first travelled to Papua New Guinea in early 2016 in my role as International Programs Officer at MMI. Despite it being less than 4 hours on a plane from my home in Sydney, Papua New Guinea is unlike anywhere I have ever been. With stunning natural beauty, ancient and diverse cultures, Papua New Guinea is the kind of place that is hard to forget. Sadly, Papua New Guinea is also one of the least developed nations in our region. Where education continues to be one of the country’s biggest challenges. We believe that education is the key to sustainable and lasting change. However, for communities in Papua New Guinea it is a huge challenge to get kids into school. Especially for children with a disability. In fact, only one in three children will finish their basic education. Together with our local partner organisation, Buk Bilong Pikinini, we are on a mission to change that. We are supporting the development of locally-produced learning resources, like books, that reflect the lives of kids in Papua New Guinea. These aren’t just any books as they share a vital message about the value of education for children with disability. When I think about why these books are important, I think back to my trip to Papua New Guinea earlier this year when I met a young girl by the name of Sila. Sila told me that she had once enjoyed going to school, but overtime her visual impairment meant that she could no longer read the board or even a worksheet on her desk. She struggled to keep up. As the content got harder, she became disengaged. Without the proper support in the classroom, she refused eventually to go back to school. Now aged 13, Sila told me that she felt sad to stay home while her younger siblings headed off to school. However, she didn’t feel confident enough to go back as she felt she didn’t belong.